Eid is undoubtedly a time of celebration, food, spending time with your family, and a bit more food. After a long month of fasting during particularly hot days, a simple meal with family and friends is wholly cherished and being surrounded by a Muslim community during Eid is often what makes Eid feel like…Eid! Unfortunately, not everyone has an opportunity to experience the same warmth and comfort from being amongst family and friends during this time. Roots of Imaan Eid Parcels is an initiative set up to support any Muslims who may be spending Eid alone. This could be reverts, displaced Muslims seeking refuge in the UK, or simply someone who is working away from their family during Eid. 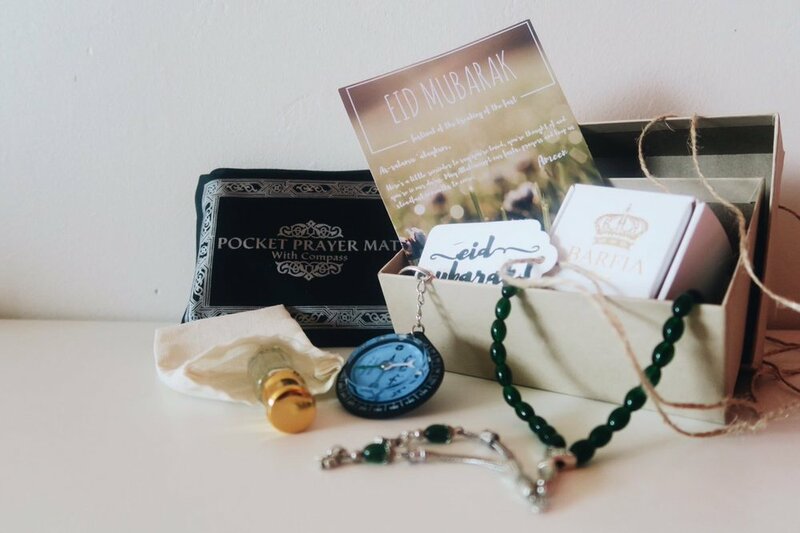 The Eid Parcels are packed with Islamic Gifts and goodies to try and replicate the “Eid Experience” as best we can whilst reminding the recipient that they’re loved, thought of, and in our dua's. Each box contains a piece of gourmet Barfi from barfia.com, a Baklava Pop from thebaklavaboutique.co.uk, handmade Oud, tasbeeh and a travel prayer mat/qibla compass amongst a few other pieces. A number of parcels will be distributed by our partner charity, Unity Community who will distribute parcels to displaced families and single parent families of refugees/asylum seekers, however, there are still Eid parcels left that are available to purchase and send to anyone you may know personally. You can place your order on www.rootsofimaan.com and send someone a reminder that they’re loved and thought of during a time of celebration.